What a lovely day yesterday! Alan had a few Rotary events he had to be at so Sandy and I headed to their unit (beach house) in Caloundra which is north of Brisbane going towards the Sunshine Coast. Brisbane is located between the Sunshine Coast to the north and the Gold Coast to the south which both have spectacular beaches. 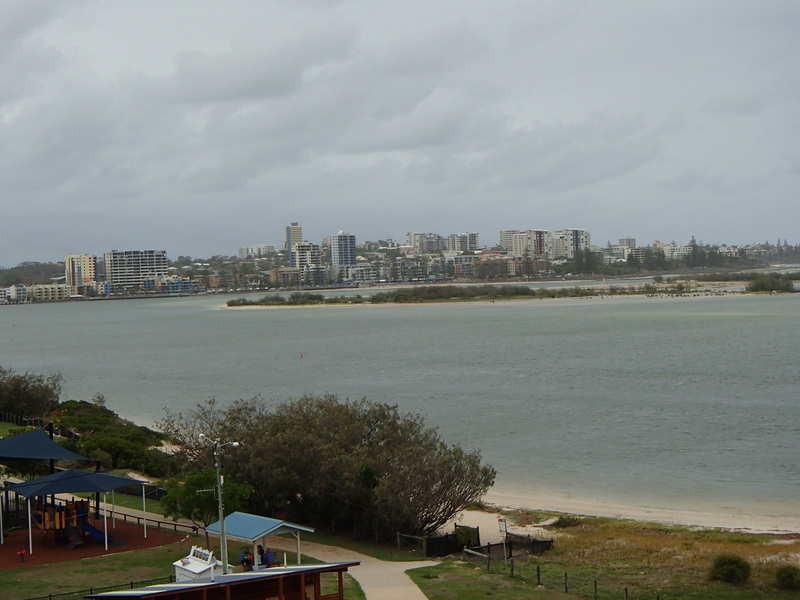 Caloundra is about an hour away from Brisbane. They own the top unit in their complex which includes the rooftop! It’s so beautiful and the view is fabulous. The city is gorgeous and right across the street is a little beach they can swim at, park, and picnic tables! Their son Marty, built an awesome picnic table on the rooftop as well as an enclosed area for their BBQ. We’ll be returning here when we all attend the Rotary District Conference in March! I’m looking forward to that and it’ll be super way to celebrate my birthday. We had fish and chips for lunch which is a big staple here in Australia. After that, we headed to King’s Beach which is about 15 minutes by car. 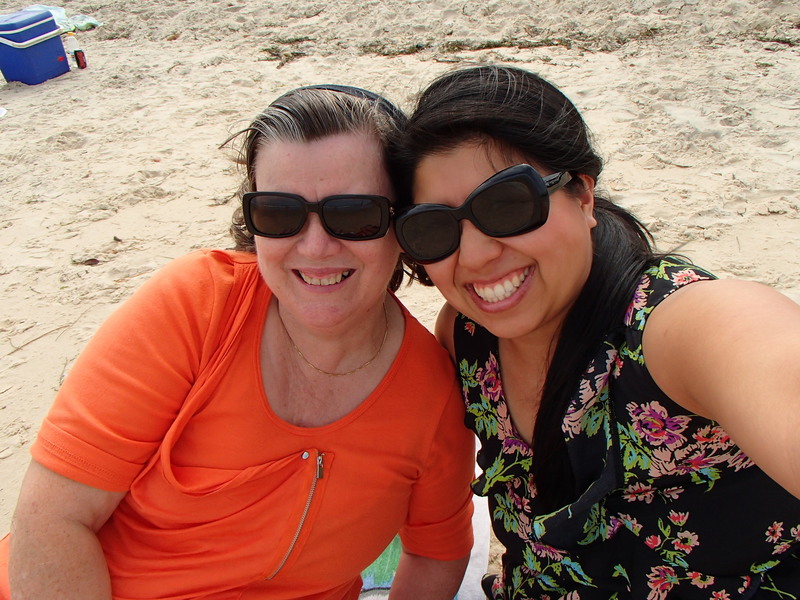 There is parking near the beach and we just found ourselves a spot to enjoy the sunny weather. Sandy doesn’t swim so I went for a half-dip into the water. 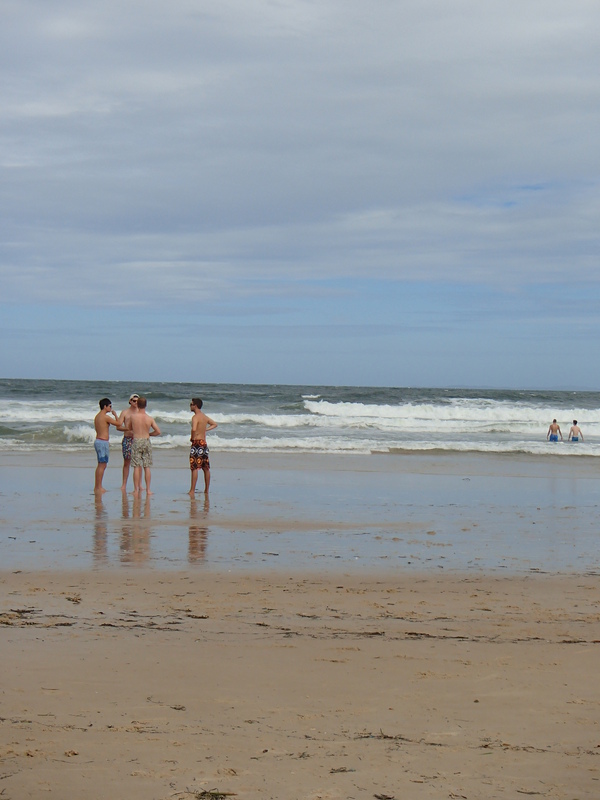 It was really nice and since it’s a surfer’s beach, there were many waves! In Australia, you are to swim in between the red and yellow flags. It is for your safety and they had lifeguards nearby. They wear yellow and red which is easy to spot. 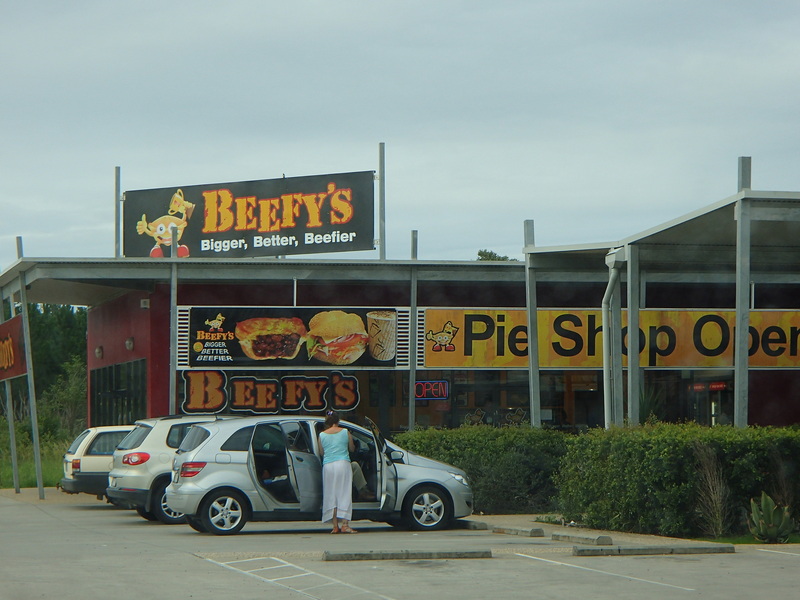 We made plans to stop by a famous meat pie shop, Beefy’s, on the way home so we left the beach around 4pm. We didn’t worry too beach about traffic since it was a Saturday. 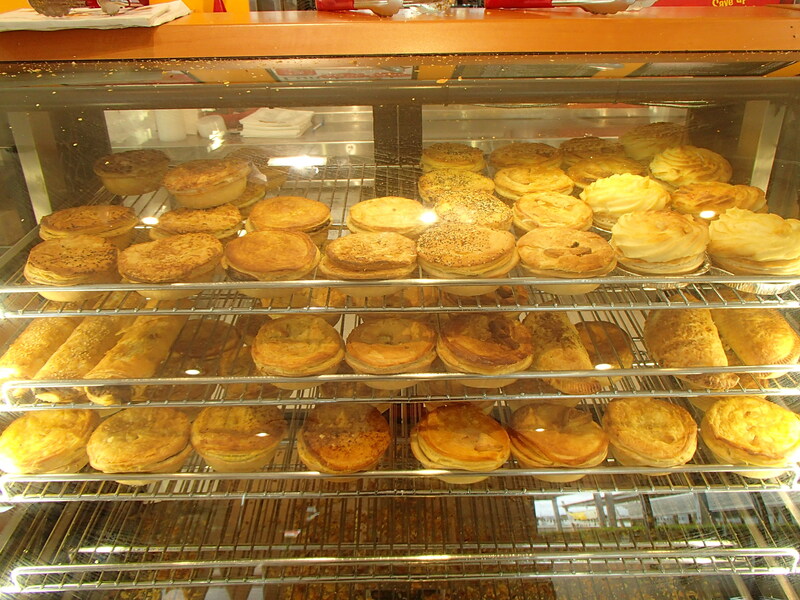 The drive was really nice and we ordered a plethora of meat pies- some with kidney beans, some with bacon and cheese, and some with veggies. After a delicious dinner, we all retired to bed pretty quickly. The sun here will really take a toil on you. Can’t wait to explore more beaches here on the coast.